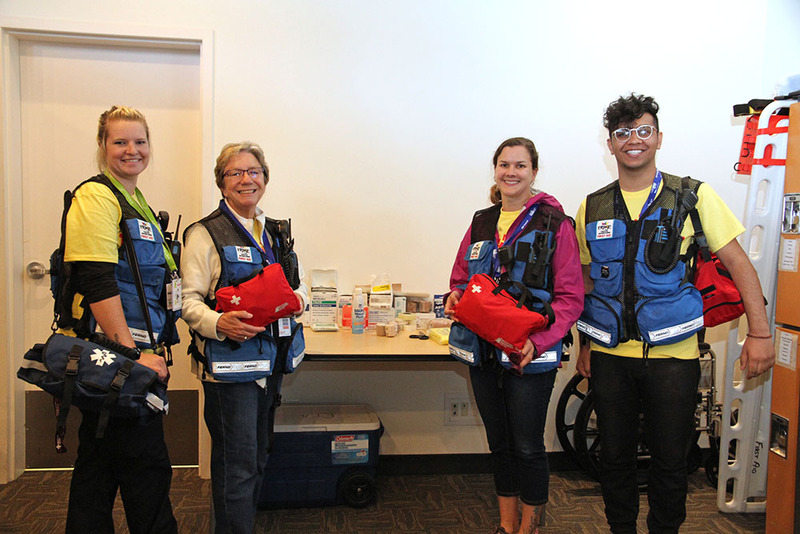 The First Aid team is responsible for the safety of our Patrons, staff, volunteers and performers. This team operates a treatment room as well as patrolling the site. In an emergency the First Aid team are the Festival’s First Responders and will be required to properly handle any emergency that may arise. In such cases, volunteers will be required to liaise with emergency personnel. All volunteers must successfully complete a Police Information Check including a vulnerable sector search prior to being scheduled. Have questions about the Duties or Requirements for this team? Get in touch! The Fringe Staff want to ensure you have the most fun and satisfying volunteer experience possible. Send us an email at volunteers@fringetheatre.ca or call us at 780.409.1922 to talk through the possibilities, to discuss your needs, your skills, any possible modifications and your favourite activities to find the perfect team for you!